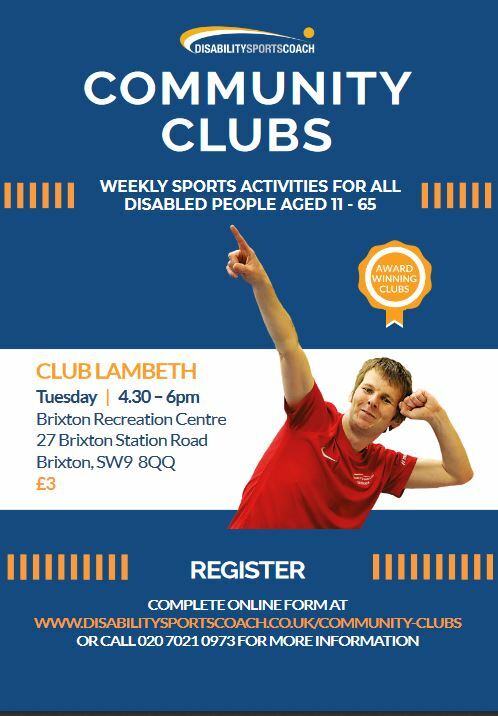 Our friends from the Lambeth Autism Group are launching a new session as part of the Community Club programme. Club Lambeth Kids has now started after the half term break. It takes place on Tuesdays between 5pm – 6pm at Brixton Rec during term time only. Activities are suitable for 5 – 11 year olds. The cost is £3 per session. You can register an interest over here. Lambeth Autism Group also runs a weekly term time session at Brixton Rec for older students. The Tuesday sessions between 4:30pm – 6pm are suitable for 11 years and older. The cost is £3, with registration available over here. Both clubs deliver traditional, Paralympic and adapted sports such a Football, Basketball, Cricket, Boccia, New Age Curling etc. The clubs welcome children with all disabilities and impairments. 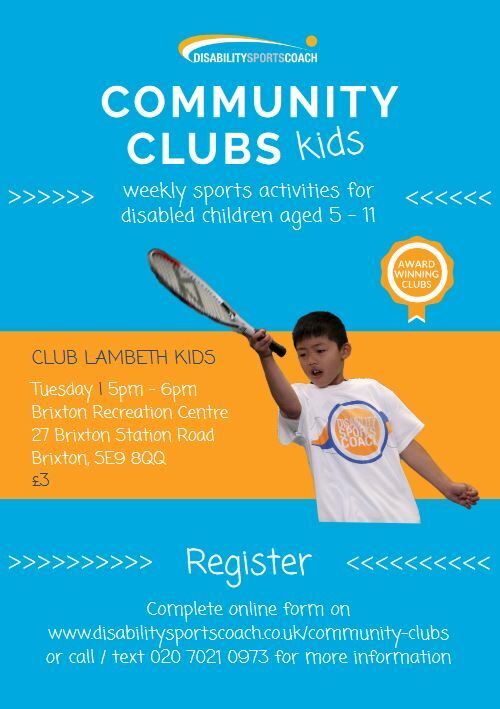 Parents are required to stay for the Club Lambeth Kids session and siblings are welcome at both.